DALLAS, TEXAS – March 7, 2016: The Sixth Floor Museum at Dealey Plaza announced today that associate curator Stephen Fagin has been promoted to full curator. As curator, Fagin will play an integral role fulfilling the Museum’s mission to chronicle and interpret the assassination and legacy of President John F. Kennedy, providing content expertise in the development, growth, research and interpretation of the Museum’s collections, exhibits and programs, while serving as a recognized authority on the subject. Fagin also manages the Museum’s Oral History Collection, more than 1,500 personal accounts of the assassination, the 1960s, civil rights and other topics. Fagin first joined the Museum as an intern in 2000, and shortly thereafter was hired in the position of oral history coordinator then oral historian, advancing to associate curator in 2009. 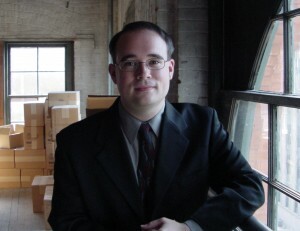 Stephen holds a BA in English and History from Southern Methodist University and an MA in Museum Studies from the University of Oklahoma. He is the author of Assassination and Commemoration: JFK, Dallas, and The Sixth Floor Museum (2013, University of Oklahoma Press).